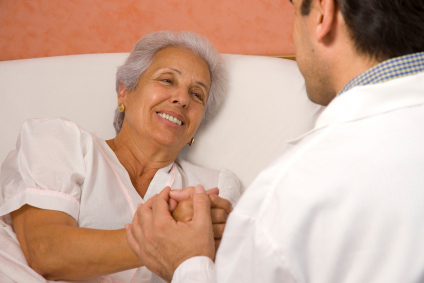 When services related to a patient's hospice diagnosis are furnished under a written payment arrangement with the hospice by the attending physician, the physician must look to the hospice for payment. In this situation, the physician's services are hospice services and must be submitted by the hospice to the Part A intermediary. When the attending physician is not employed or paid under agreement by the patient’s hospice provider, the physician must use a GV modifier with the HCPC code and submit the claim directly to the Part B intermediary. When the attending physician provides services to a hospice patient for something unrelated to the hospice diagnosis, the physician must use a GW modifier with the HCPC code and submit the claim directly to the Part B intermediary.